Peter Hook is widely recognized for bringing his huge and punchy bass tone to bands like Joy Division, New Order, and Peter Hook & the Light. We had a chance to sit down with him before his soundcheck here in Chicago to chat about how he has developed that tone and the gear he uses to do it. Hook's playing style is very chordal with a lot of work higher up on the neck. It turns out that his style was largely borne out of circumstance. His first amp only cost him $15, and as he states in the video above, "It sounded like it cost $15, too." The speaker distorted so badly that playing on the lower parts of the neck wouldn't produce a clear tone. The only way to combat that was by playing higher up on the neck. Consequently, playing higher on the neck meant that the bass cut through the mix a lot more than playing lower would have. Since Hook's lines were so much easier to discern this way, Hook stuck with the style even after gear upgrades. Hook started out on a "terrible" EKO bass copy before moving to a "terrible" Rickenbacker bass copy. 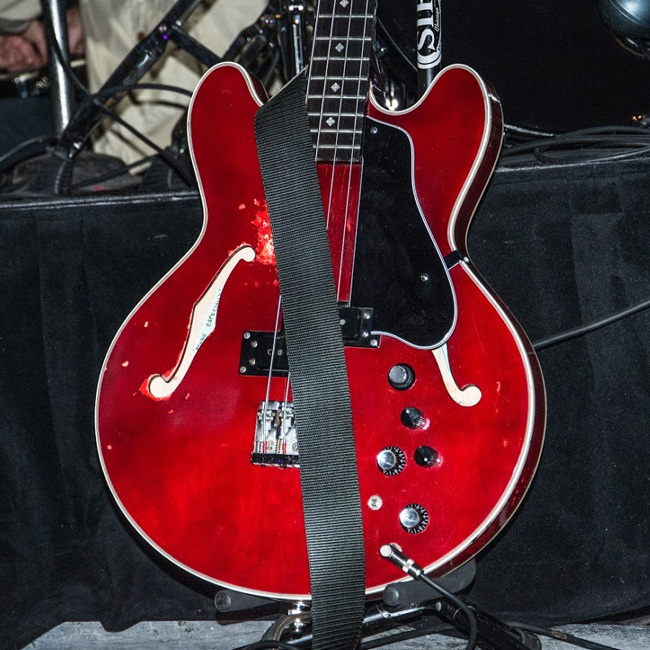 He experimented next with a Gibson EB-2 hollow body bass, but ultimately ditched it because of the medium neck – he required a double octave. In 1980, Hook turned to Yamaha basses and fell in love with the flat neck and active electronics of the BB1200. Since then, Hook has used this model on every single record that he's used a 4-string bass on. When Yamaha announced that they would be discontinuing the line, Hook panic-bought seven of them to make sure he would never run out. Still not over the allure of the hollow-bodied Gibsons, Hook looked to Eric Clapton's luthier to make him the hybrid bass of his dreams. He now tours with the hybrid, which features the flat, double octave Yamaha neck with Yamaha electronics and the Gibson hollow body. Hook says that the guitar is perfect for a live show because the hollow body feeds back so well. 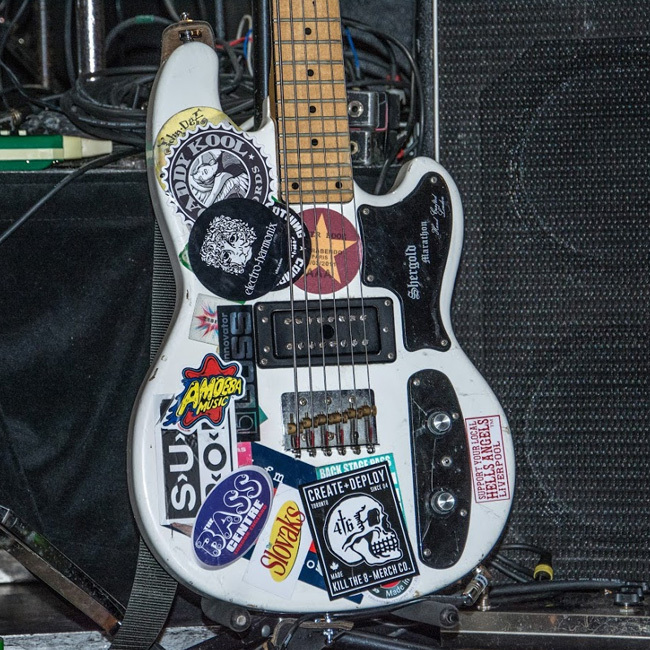 And if you're wondering about the Shergold 6-string that Hook often used live with Joy Division during the Closer era, don't worry – he still uses that bass occasionally, too. Built more like a guitar (in the same octave) than an actual bass, the Shergold allows Hook to function not only like a chordal bassist, but also like a rhythm guitarist. Peter Hook & the Light are currently touring Europe with dates extending through October of this year. For more information and to buy tickets, check out his website here.